يقع في Melbourne CBD, شقق ميلبور شورت ستاي آت ساوث بانك وان إنه المكان الأنسب لاكتشاف ملبورن و ما يحيطها. إن موقع الفندق الاستراتيجي، الذي يبعد 2. Km فقط عن مركز المدينة، يسمح للنزلاء بالوصول سريعاً وبسهولة إلى العديد من الوجهات المحلية المثيرة. إن سهولة الوصول من الفندق إلى المعالم السياحية الشهيرة الكثيرة في المدينة كمثل Southbank Library at Boyd, Queensbridge Square, بريسي ووتر هاوس كوبرز هو استثنائي بحد ذاته. يعمل شقق ميلبور شورت ستاي آت ساوث بانك وان على ضمان إقامة مريحة لضيوفه من خلال خدماته الممتازة وحسن ضيافته. يقدم الفندق فرصة للاستمتاع بشريحة واسعة من الخدمات بما فيها: مرافق مخصصة لذوي الاحتياجات الخاصة, واي فاي في المناطق العامة, صف السيارات, خدمة الغرف, التوصيل من وإلى المطار . يمكن للنزلاء الاختيار من ضمن مجموعة من الغرف المصممة بعناية لتعكس جواً من الراحة، والتي يتجاوز عددها 60. يقدم الفندق مجموعة رائعة من الخدمات كمثل مركز للياقة البدنية, حمام سباحة داخلي, حديقة، لجعل إقامتك تجربة لا تنسى. استمتع بخدمات لا يعلى عليها وعنوان ذو اعتبار في شقق ميلبور شورت ستاي آت ساوث بانك وان . 9pm- 7am: After hours arrivals Key collection is available via the key safe located outside of reception at 187 City Rd, Southbank, there is an intercom for assistance or by calling our After Hours Concierge Ph 0466 779 246. 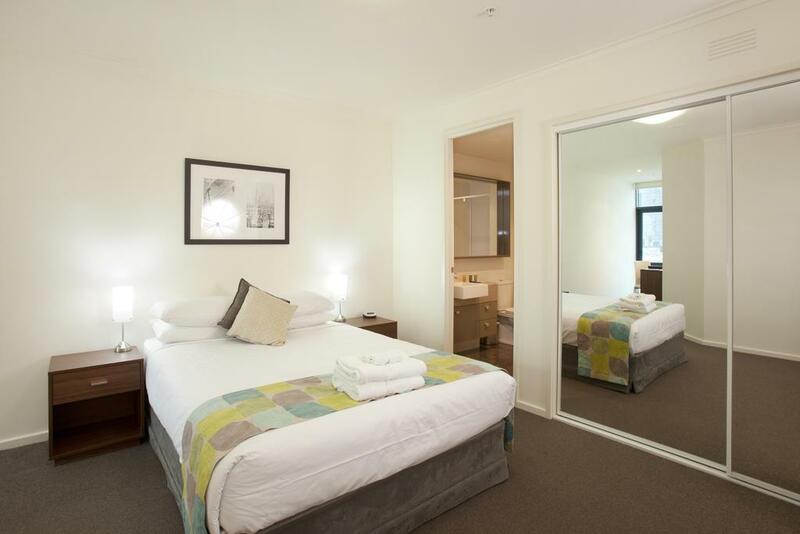 If planning to arrive after 9pm please let us know by calling (03) 8256 7500 or by email info@shortstay.com.au to advise your estimated time of arrival and to confirm your contact details. Please note: After hours arrival guests to attend reception before 12pm the following day to complete the check-in process. تسجيل الدخول بين 07.00 AM و 08.00 PM. الضيوف الذين سيصلون خارج هذا التوقيت يطلب منهم التواصل مع العقار مباشرة قبل الوصول لترتيب هذا الأمر. 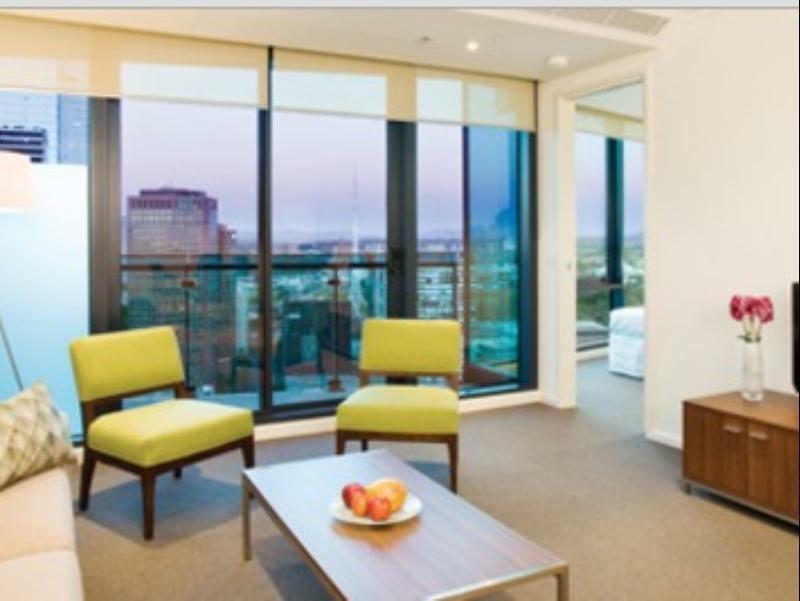 Enjoying downtown stay with excellent serviced apartment. Clean environment equipped with facilities including cook ware etc. 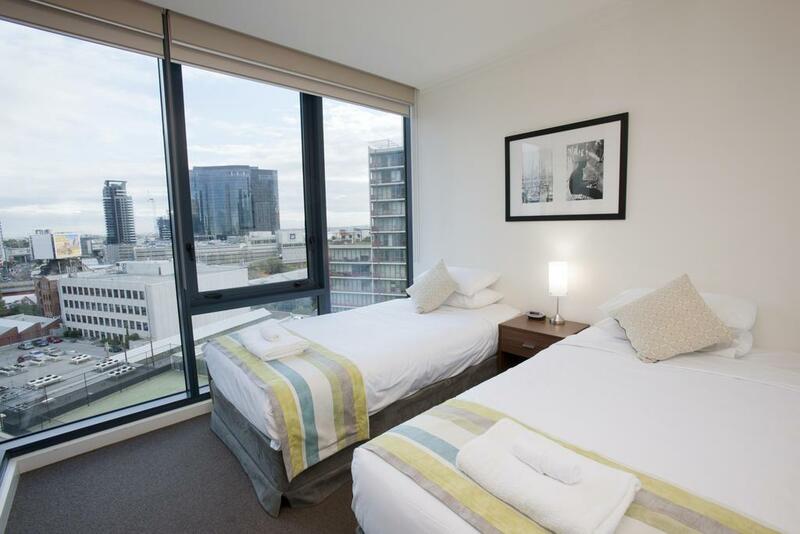 Within walking distance to Southbank riverside with many nice restaurants and Casino. Walk slightly further will be the shopping heaven - DFO South Wharf. 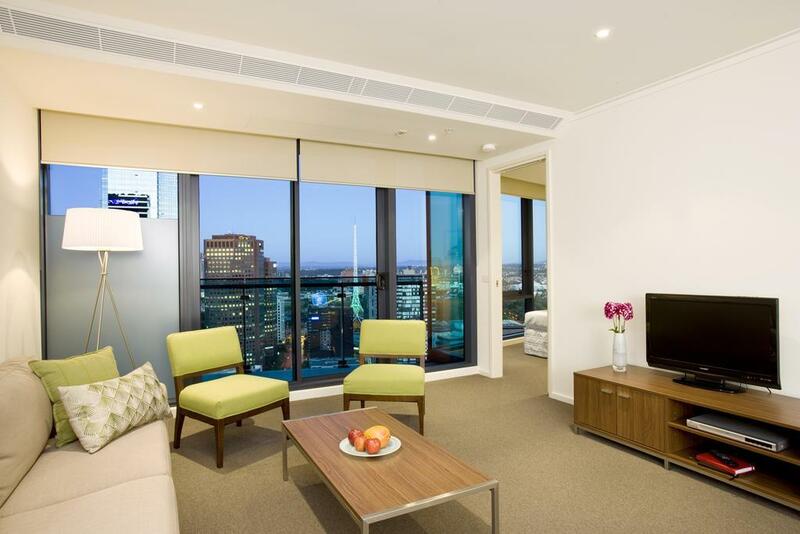 The only dicrepancy is the serviced apartment no longer provides daily cleaning service. You need to walk to the office (across the road) to replenish your toiletries, coffee/ tea, clean towers etc. Besides, the parking floor sometimes is blackout which is very inconvenient for us. Stayed for a few nights and I love it! Location wise was a bit disappointing as not really strategic. But worth the time going around trying to locate the property. Love how clean and spacious the apartment is. Convenience store just next to the property. I will definitely be back here. We travelled with older folks and a young child. The location for southbank one was fantastic, near highway exits and walking distance to the city. The apartment was well equipped and comfortable, so convenient with a grocers just on the first floor. Parking our car was also a breeze, and we had the fastest and most fuss free checking in. Worth it! Overall, I would rate this Short Stay Apartments excellent. 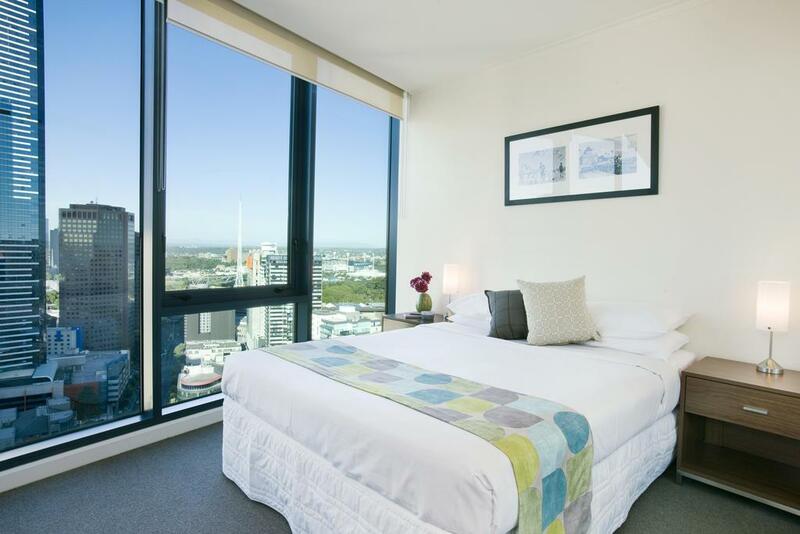 This service apartment come with full facilities including washing machine, kitchen with full accessories, down there got groceries shop, swimming pool, gym room, airport skybus pickup and drop-off. Will come back again in my next visit to Melbourne. No complaints as we were all very impressed about the room and the value for money. Only one thing I did find difficult was I wasn't told of the security deposit of $250 as I didn't have a credit card only had a debit card. This was very inconvenient and usually a debit card is fine at other hotels. On entry to our room we found the place a little dusty and the full length glass windows overlooking the balcony and the city views were rather dusty / watermarked which was a little dissappointing. But other than that, the hotel was excellent. 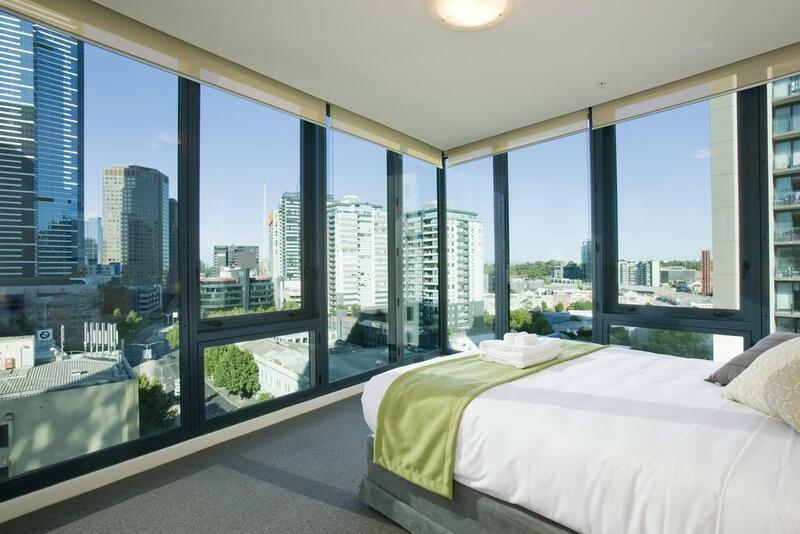 Perfect location - close to the southbank promenade and a short distance to the CBD itself. Staff were very friendly and helpful. Would stay there again. The apartment is clean & comfortable with utensils and dishes provided so cooking is a breeze. There is a supermarket downstairs so it's very convenient. Large apartment with good amenities. Traffic noise is rather loud though. The apartment was a decent size. Close to Skybus stop which was handy. A supermarket below was great. The apartment was well worn and not cleaned thoroughly. We'd stayed in accommodation for 2 weeks across New Zealand previous to our stay in Melbourne and this was by far the worst for cleanliness. although not inside inside CBD but everywhere is easily accessible by walking or a short cab ride. spacious apartment with full amenities, they even had a washing machine and a separate dryer that made washing easy and fast. 1. There was misunderstanding on the no of people occupying the apartment. Management did not refer to our booking confirmation . 2. We booked for car parking but every time we went out the parking lot was taken up by someone else. 3. When we made reservation the security deposit mentioned was AUD250 but when we checked in it was AUD500. All is good except for the waiting time for check-in at southbank one. Initially confused as the shortstay apartment and southbank one are referring to two different buildings hence delayed in check-in time. The reception was not same as the building so there are very trouble and need to wait long time for the check in. There are no business center for the apartment so is very trouble for traveller to check in air ticket. The internet for room also need to charge and the price per day is very expensive. Overall is quite impressed, staffs are so friendly, room is clean and well facilities. It's time taking if we do not call 10 mins before arrival, so we have to wait for the staff to come over from the opposite office and show us the room. Since this is a serviced apartment, so no breakfast provide, but it's compensated by a nice supermarket next door. 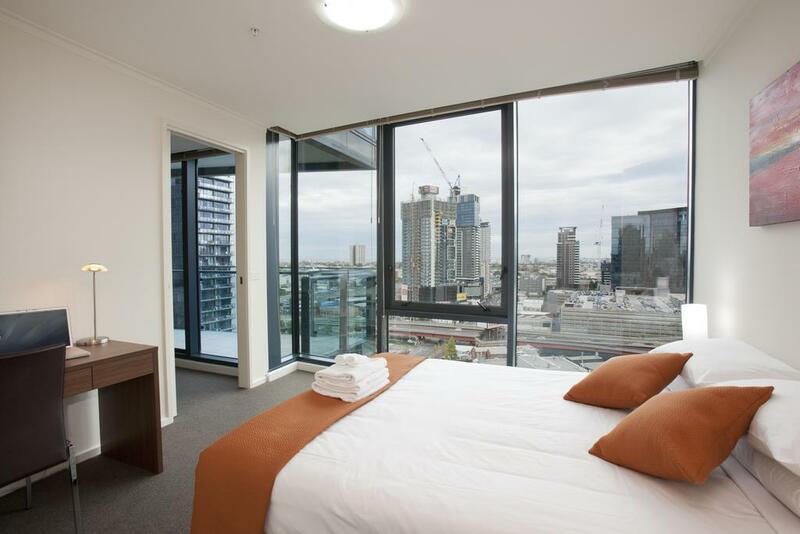 Easy to access to Crown Casino and CBD by walking distance. It was a last minute booking due to our emergency visit to Melbourne. The hotel's location is conveniently near to the casino, so food is always around. However, it was noisy during the day due to the construction around south bank area. THERE WAS LOUD NOISE IN THE HALL WHEN SOMEONE IS HAVING BATHING !!!!! THERE WERE ALSO SOME LIGHT WERE NOT WORKING. OVERALL THE STAY IN THIS APARTMENT IS NOT BAD. VERY NEAR TO CROWN, CAN EASILY TAKE TRAM .